Despite the fact Roger isn't playing – I thought I'd put together a brief prediction of this years Shanghai Masters, it's too nice a tournament to exclude from my blog so I'll take a look at who I think is likely to put in a decent run to the later stages and who'll wind up being the eventual winner. Minus Roger and Novak, the draw has most of the top players – including Rafael Nadal, Andy Murray, David Ferrer, Mardy Fish, Jo-Wilfried Tsonga, Tomas Berdych and Gilles Simon. I've had to remove Almagro from that list – no way is that guy top 10 material. It's only really Soderling, Del Potro and Monfils that are the other notable absentees. Who Can We Expect To Do Well? Murray is on top form right now, he's won however many of his last matches and is coming off the back of bagel-ing Nadal in Tokyo. As anyone who reads my blog will know – I can't stand the guy, his lack of personality and teenage strops infuriate me, but even for me it's difficult to look past Murray for the tournament here. He's defending champion after defeating Federer last year so he clearly likes this tournament, and he's a quickly becoming a non slam specialist. The bookmakers agree too with Bet365 making him the joint 7/4 favourite with Rafael Nadal. 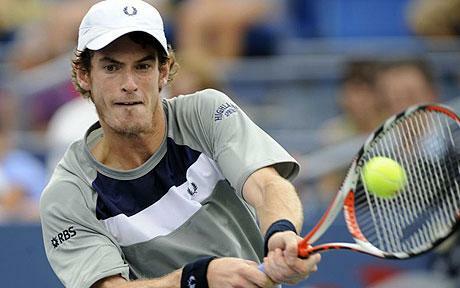 Murray has a total cake walk draw so if he doesn't make the final then I'll be surprised. Update: As predicted Murray won the Shanghai Masters beating David Ferrer comfortably in the final and also taking the number 3 spot. But I'm not too bothered. Number 1 is the only ranking that matters and Roger knows that. Bring on Basel! 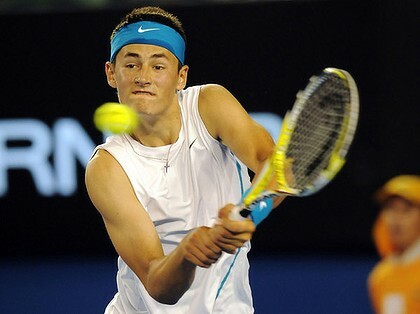 I have a few outside picks for this tournament, Tomic being one of them. He beat Kevin Anderson earlier today which is a good result against the big serving South African, and I fancy him to upset current World Number 9 Mardy Fish in the next round. Fish is playing well, but I have a feeling Tomic will absorb the pressure and just break Fish down. The only thing I see Fish aiming for is his first World Tour Finals which could mean he puts in the effort, but despite that I'm going for Tomic in straight sets: 7-5, 6-3. Update: Tomic proved me right and got past Fish, he actually dropped the first set but hit back to win in 3 in just under 2 hours. You can read the match report on the ATP website. Nalbandian is still one of the most talented players around, yet his Grand Slam trophy cabinet remains empty. I hear many people saying he's too old but I think he's got 1 or 2 big tournaments in him where he can do some damage and Shanghai could be it. 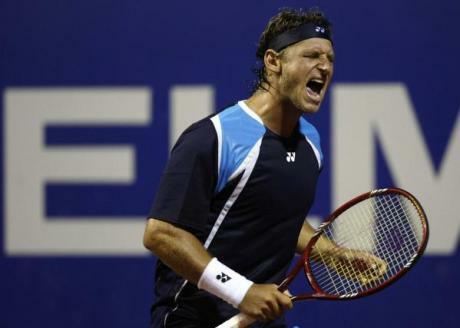 He beat Gublis earlier today in straight sets and faces German Florian Mayer in the secound round – I see that match going to 3 sets but Nalbandian coming through, after that he looks set to face Nadal. I'm going for an upset though – I think this surface suits Nalbandian and Nadal won't be at his best. Prediction: Finalist Update: He crashed out to Florian Mayer! Fail. All I can really say is bring on Basel, where the real tennis begins. Allez les Suisse! How Will Federer Fare in 2019?